Born in London to parents of Polish-Jewish origin. His apprenticeship to a watchmaker at the age of 14 lasted for only about a year when his pianistic talents attracted the attention of the American pianist Victor Benham who persuaded his parents to allow him to study music full-time. Still in his teens, Frankel began to earn his living as a jazz pianist, violinist and arranger. By the early 1930's he was in great demand as an arranger and musical director in London's West End. 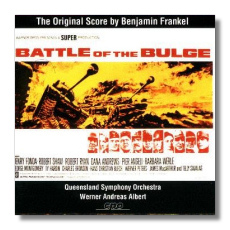 Eventually he became one of England's best known film music composers, writing ultimately over 100 scores. 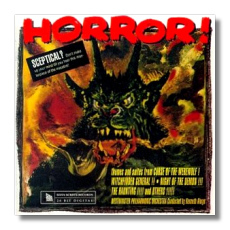 These things, especially in the the orthodox musical climate of England, obscured the fact that he had begun a substantial output of 'serious' music. At first mainly chamber music, the first major work to bring him to wider public attention was the Violin Concerto dedicated "In memory of 'the six million'", a reference to the Jews slaughtered in the Holocaust. It was commisioned for the 1951 Festival of Britain and first performed by Max Rostal. 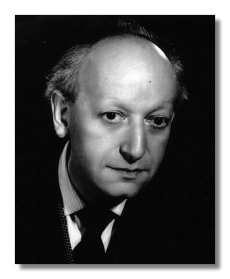 During the last fifteen years of his life Frankel emerged as a leading symphonic composer, writing a cycle of eight Symphonies, other orchestral and chamber works and a three-act opera based on John Whiting's Marching Song. 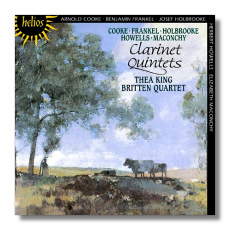 In this last creative period he came to his own unique view of 12-note composition that retained contact with tonality. 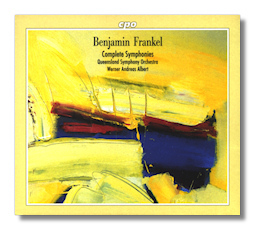 "Our neglect of Benjamin Frankel is not something we can be proud of …The two symphonies in this enterprising disc are outstanding examples of his work, colourfully scored and pungently concise…"
"His rediscovery now is as welcome as it is long overdue…"
Publishers: Novello & Co., (also Chester Music Ltd., Augener Ltd.).